Not everyone is born with good memorization abilities. If your child struggles with remembering things, you can try these tips to improve their memory. A strong memory, just like the ability to concentrate, is part of the solid foundation that your child needs to learn. If your child constantly forgets what they were doing whenever they face a distraction, they might have some memory issues. Unfortunately, not everyone is born with sharp memory skills. The good thing is that these skills can be strengthened with practice and by following these tricks. Short-term memory is the ability to recall new information and use it right away. Also known as “working memory,” this skill allows people to follow multi-step directions, such as a recipe or complete mental math problems. This new information is later transferred into the long-term memory, which is where all the previous knowledge that allows students to gain a deeper understanding of the topic is stored. Students with working memory problems usually fall behind in class because they’re unable to create connections with previous lessons. The ability to explain something to someone else involves understanding the information and being able to transmit it. So, have your child teach you about the new skill they’re learning or something they saw in class that day. Encourage them to tell you as much as they can remember and then go back and review the material together. Asking questions helps students develop critical thinking skills and more in-depth comprehension of a subject. Encourage your child to ask questions to understand the topic better. Understanding is the first step to learning and remembering. If your child struggles with understanding a subject in school, tutoring can help fix that issue. The Tutoring Center, Auburn CA can help your child become a better learner by answering their questions on those tough assignments. Call them at (530) 878-5010 to learn about their tutoring programs. Use multisensory strategies to help your child retain information for a longer time. Involving all the senses helps your child engage with the material in several ways. It will be easier for them to connect with the content. Don’t just tell them the instructions, write them down or show them how to do it in a way that involves all the senses. Not only are cards a fun way to spend time together with your child, they also help improve your child’s memory. Your youngster needs to keep the rules of the game in mind the whole time, and they also need to remember what cards they have and which ones the other players have played. 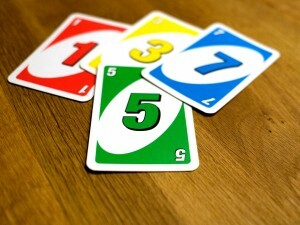 Try games like Uno, Go Fish, and Crazy Eights. It’s easier to remember bite-size amounts of information as opposed to a whole load of new information. That’s why phone numbers and social security numbers are divided with hyphens. It’s easier to remember small groups of numbers instead of a single long one. Remember this when you’re giving your child instructions for a task. If possible, write them down or at least give them one at a time. What your child eats affects every aspect of their life, from their weight, skin, sleep, grades, and concentration to their memory. The brain is the first of the body’s organs to absorb nutrients from food. If the food is junk or if there aren’t enough nutrients in it, the brain is going to suffer the consequences. Your child’s diet should include several brain foods such as salmon, leafy greens, and blueberries to improve your child’s brain power and with it their memory. Help your child make connections between details they know with what they’re trying to remember. Use keywords or mnemonics to associate one subject with another. The more specific they can get with the associations, the simpler it will be for your child to remember. If your child can relate their personal experiences to what they’re trying to learn, it will make the learning process go by more smoothly. Finding meaningful connections helps the memorization process. If your child is an auditory learner, memorizing songs and rhymes comes easy. If they just can’t seem to remember the material they’re trying to learn, turn it into a rhyme or a song. The reason why many students don’t enjoy learning or find it tough to remember what they should is that the lesson is not fun or memorable. Learning should not be limited to reading a book or answering a problem. Take your child to the library or a museum, have them watch a movie, or involve games in the learning process. Tutoring can boost your child's academic potential, improve their learning abilities, and in the process, strengthen their memorization skills. Learn all about the tutoring programs that The Tutoring Center, Auburn CA has to offer by calling them at (530) 878-5010.